The GOP elite shunned voters Wednesday and chose Kevin McCarthy as House Minority Leader over conservative favorite Jim Jordan. McCarthy had the backing of the GOP elite and outgoing RINO House Speaker Paul Ryan. Jim Jordan had the backing of his fellow members and Trump supporters in the Freedom Caucus. Rep. Liz Cheney (R-WY) was chosen to be GOP conference Chairwoman. McCarthy was initially elected to the House in 2006 and has served as the House majority leader since 2014. Jordan is a prominent member of the House Freedom Caucus and an ally of President Trump. The Never Trumpers and GOP elite always make sure they keep their power in Congress. 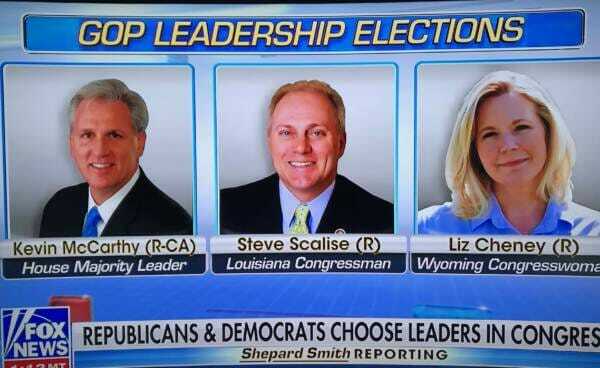 The post GOP Lawmakers Shun Voters, Choose Kevin McCarthy as Minority Leader Over Jim Jordan appeared first on The Gateway Pundit.